Corn Flakes in Rajkot, India from SHANTI FOOD CHEM PVT. 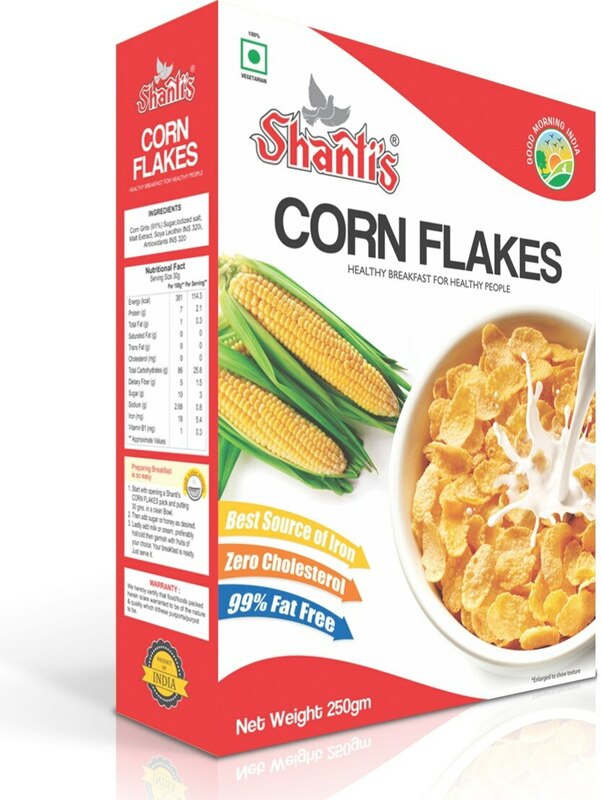 LTD.
Shanti’s Corn flakes - a treat for your taste-buds! Made from the finest sweet corn that is crisp, fresh and with a munch taste, A light yet high-energy breakfast, this is the best way to boost your day with the extra pump.